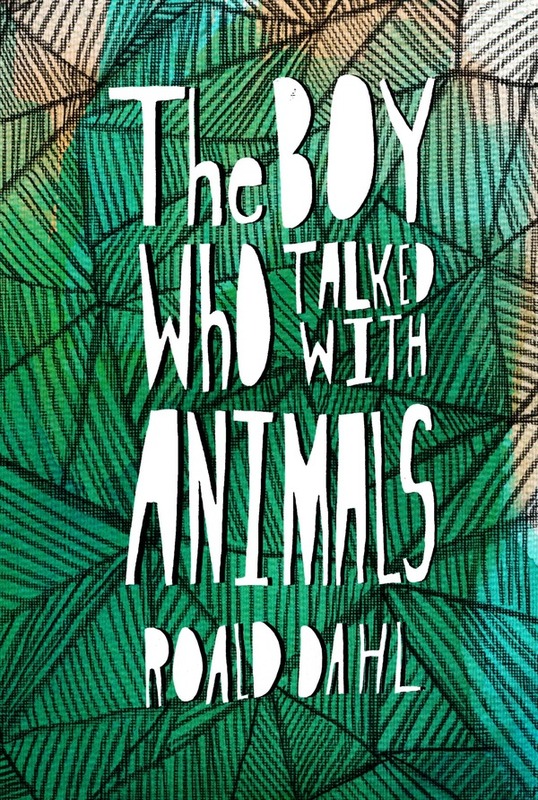 The Boy who Talked with Animals by Roald Dahl. (1977). People of all ages have been drawn to master storyteller Roald Dahl as he creates worlds of whimsy and creativity. 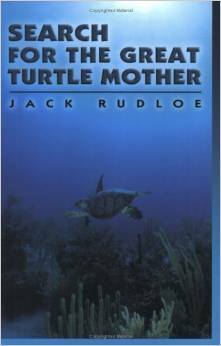 In this fictional short story, a young boy traveling to Jamaica has his environmental conscience sparked by conversations with a captured sea turtle. 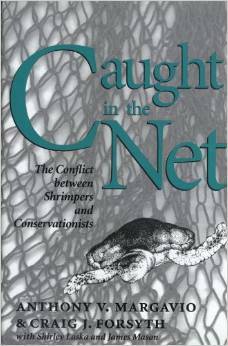 Caught in the Net: The Conflict between Shrimpers and Conservationists by Anthony Margavio, Craig Forsyth, Shirley Laska, and James Mason. A significant threat facing sea turtles in southeastern United States is their deadly interactions with fishing equipment, in particular shrimp trawls. This account looks at the differing perspectives of shrimpers, conservationists, policy makers, and government enforcement agencies. Penguin Books (1998). 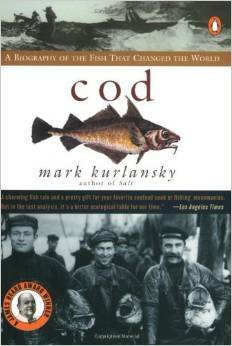 The historic rise and fall of cod from dinner table to international conflict to fishery in decline provides an engaging perspective on the collapse of an industry. For further reading on global fisheries decline consider Four Fish: The Future of the Last Wild Food by Paul Greenberg. 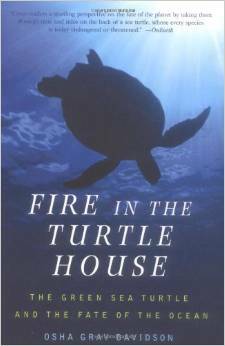 Fire in the Turtle House: The Green Sea Turtle and the Fate of the Ocean by Osha Gray Davidson. Perseus Books (2003). Turtles face a wide variety of man-made threats, from development of nesting beaches to fisheries interactions. This work looks at the mysterious disease that is infecting greater numbers of turtles and tries to determine if we are the cause. Knoph Books (2002). Teenagers really can make a difference. 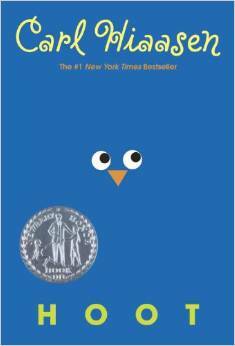 Follow this fictional story about a Florida kid and his friends who become concerned with the mysterious disappearance of endangered owls in their community. Reading about how they go up against a major organization in the name of conservation will hopefully inspire you. Great Outdoors Publishing (2003). This non-fiction work combines a passionate search for turtles around the globe, while entwining it with folklore about. This travelogue seeks to understand turtle navigation, while providing historical insight and conservation ethic from indigenous groups in Central America and Asia. Ballantine Books (1996). 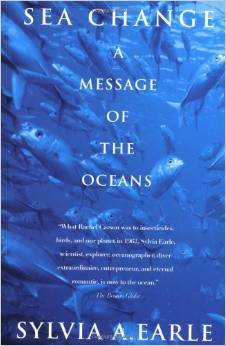 Read about first-hand accounts and perspectives from one of the most famous female oceanographers. Her years of experience, provide a good description of current marine science issues. University of Florida Press (1967). 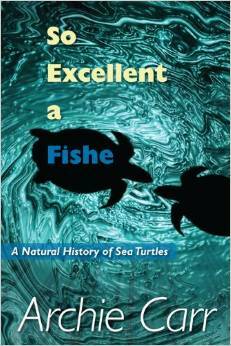 This is one of the seminal books on sea turtle research from the most influential scientist in the field. 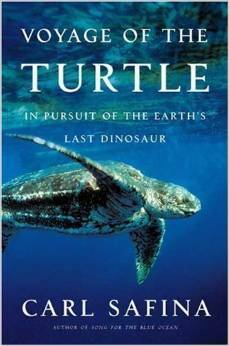 This book gave many present conservationists the inspiration to study turtles, and Carr’s personal accounts are insightful and often humorous. Henry Holt and Co. (2006). While not dealing with our most common species, the loggerhead, this book chronicles the life history of leatherback sea turtles – the biggest of all sea turtle species. Many of the threats facing leatherbacks are the same as the ones affecting all sea turtle species.